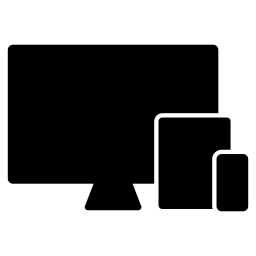 This post provides background and additional resources for my talk on Responsive Web Design in Africa. Last update: May 23, 2013. I’ve seen a surprising amount of pushback on responsive design within the South African web community recently. The skepticism is mostly based on issues such as low smartphone share and high data costs in Africa, along with assumptions about “the mobile context” and how people supposedly have vastly different needs on mobile phones than they have on their desktops. So, the purpose of this talk is to summarize the case for Responsive Web Design, and to argue that the reasons against using this approach in Africa don’t hold up. Smartphones and data access are exploding in Africa, so if we want to be Future Friendly, we don’t have a choice. We have to adapt. I cite the source for each quote, example, and data point on the applicable slide, but I thought it would be helpful to provide a brief list of Responsive Web Design resources here for easy reference. For more great resources on responsive design, see Jeremy Keith’s extensive list. My goal with this talk was not to say anything groundbreakingly new about Responsive Web Design. The goal was to urge designers and developers who work in developing regions to take responsive design seriously, and at the very least consider the approach for their next projects. If you have any questions or comments (or are interested in having me come present this talk somewhere), please get in touch.